Rev Fran: "Holy Transfiguration". A sermon from Littlefield Presbyterian Church on Transfiguration of the Lord Sunday. "Holy Transfiguration". 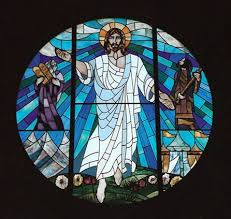 A sermon from Littlefield Presbyterian Church on Transfiguration of the Lord Sunday. In both the Old Testament and Gospel lessons we heard today, we see a pattern. Generally, when Moses heard God's WORD for him and the people of Israel, it was when he was off by himself... away from too much busy-ness and noise. At times, Moses brought the Israelites out of the camp... away from the distractions of their everyday work and routine-- to hear God speak to them directly. When we study the Bible, we see this pattern of withdrawing-- going apart for awhile to be with God-- and then returning. Sometimes it takes longer than we think it might. When Moses came down from Mount Sinai the first time after a time apart with God, he found the Israelites worshipping the golden calf. Since they'd broken the covenant, Moses broke the stone tablets containing the Ten Commandments. It was after this revelation that Moses came down among the people with his face shining so brilliantly that the people were afraid to come near him. His appearance had been changed by his time apart with God. There'd been a holy transformation. We know from reading the gospels that after his baptism, Jesus was led by the Holy Spirit into the wilderness. He spent forty days alone in the wilderness, fasting and being tested, before he began his ministry. Jesus had been praying alone, with only his closest disciples near him, when he began teaching them that he would have to undergo great suffering... be rejected by the religious authorities... be killed... and the third day be raised. Then he told them that anyone who wanted to be his disciples would have to deny themselves and take up their cross daily and follow him. It's eight days later when Jesus takes his inner circle of disciples and goes up on a high mountain to PRAY. While he was praying they saw his face change, and his clothes become dazzling white. Then Peter and James and John saw Moses and Elijah, talking to Jesus. A cloud comes-- a sign of God's presence, as it had been in the Exodus. From the cloud, a voice speaks: "This is my beloved Son, with whom I am well pleased," echoing the voice heard when Jesus was baptized. At his baptism, there's a moment when the veil of the present is stripped away to reveal who Jesus is and who he will be. Now, the disciples are told not only who Jesus is-- but they also hear that they are to "LISTEN to him." On the Sunday of Transfiguration, just before Lent, we hear Bible stories about withdrawing and returning. I believe this pattern of withdrawing and returning is at the HEART of a faithful Christian life. In the midst of the hectic busyness that most of us experience as ordinary time-- it's hard to find the time and space to develop a spiritual life. It takes commitment and discipline to look and listen for God. This Wednesday is Ash Wednesday-- the beginning of Lent... the forty days leading up to Easter. If we want to grow in our faith... if we want to be ready to experience the new life of the RESURRECTION, then we need to "take time to be HOLY." We need to take time apart to listen for what God wants to say to us. That's the reason for a Lenten discipline. If we want to be followers of Christ-- we need to be true disciples. We have to give Christ time to TEACH us... and TRANSFORM us into his likeness. On Transfiguration Sunday, we follow Jesus as he withdraws up on the mountain. Like Peter, we might want to keep Jesus up on the mountaintop. We might want to stay in high places and enjoy mountaintop spiritual experiences. We need to follow Jesus back down to the valley, to a world in need of healing and reconciliation. We return to a world that hasn't changed. But we've changed-- however gradually. We have been to the mountaintop, and we have seen the Lord. We've heard a voice. And now we know not to be afraid. Without precious times of renewal... withdrawal... and vision, we wouldn't be able to endure life in the valley. If we expect immediate and total spiritual perfection-- we're expecting too much. Our transformation is happening gradually, like the transformation of the first disciples. The Peter who was so enthusiastic about the mountaintop experience is the same Peter who denies Jesus in the face of the cross. We fail to live up to God’s vision. We fall short. But God never gives up on us. God gives us the hope we need to follow Jesus boldly, and gives us the Spirit of the Lord to lead us further into the truth... further into the FREEDOM that Christ offers us. The Apostle Paul said that we "see the glory of God as though reflected in a mirror dimly"... and that we're being transformed into the same image from one degree of glory to another." In other words, the church isn’t here to meet the needs of the people who are here, but to send us out in mission. I believe God has a purpose for us here in east Dearborn. Littlefield is a unique congregation that offers hospitality, theological and spiritual openness, and a commitment to mission, peacemaking, and interfaith work. We have unique opportunities to share the good news of God’s love with such a variety of people. I think this is an exciting time for the church, and I feel hopeful. I believe that God is able to change the lives of people through big churches and little churches-- when the church is being an oasis of grace, practicing radical hospitality, reaching out to people who need to experience God’s love in a community where they can be transformed. I believe there are people out there who need that, people we are being called to serve. So I wonder: What might happen here if we learn to trust in God's power to transform us and give us the power to make a difference in the lives of people we haven't yet met? What might happen if we trust that—if God has a mission for us here, that God will provide what we need to carry out the mission? God isn't finished with any of us yet. At our worst moments-- both individually and as a church-- we act as if God is finished with us. We act as if creation was finished a long time ago. But nothing could be further from the truth. When we are afraid, we need to remember to listen to God… and to be receptive for God’s vision for us. God still sheds new light on our understanding... and lights our faces with the radiance of glorious self-giving love. God continues to shine upon us... to transform us, almost imperceptibly, one degree at a time. And that, my friends, good news!